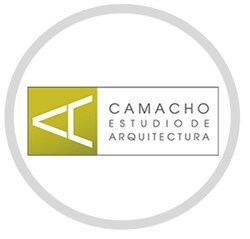 Camacho Estudio de Arquitectura was started in 2008, by the architects Germán Ricardo Camacho Barrera and Gustavo Iván Camacho Barrera, as a response to the architectural needs posed by the new times. It combines experience with the work and innovation of a team of young professional architects, engineers and collaborators in the process of expansion. The Study has developed projects of different types (equipment, urban design, interior design), with a line of design very marked towards the construction of bio-sustainable projects, without neglecting the search for different architectural expressions, with original and expressive materials , hand in hand with technology.